Put different washable paint colors on a paper plate. 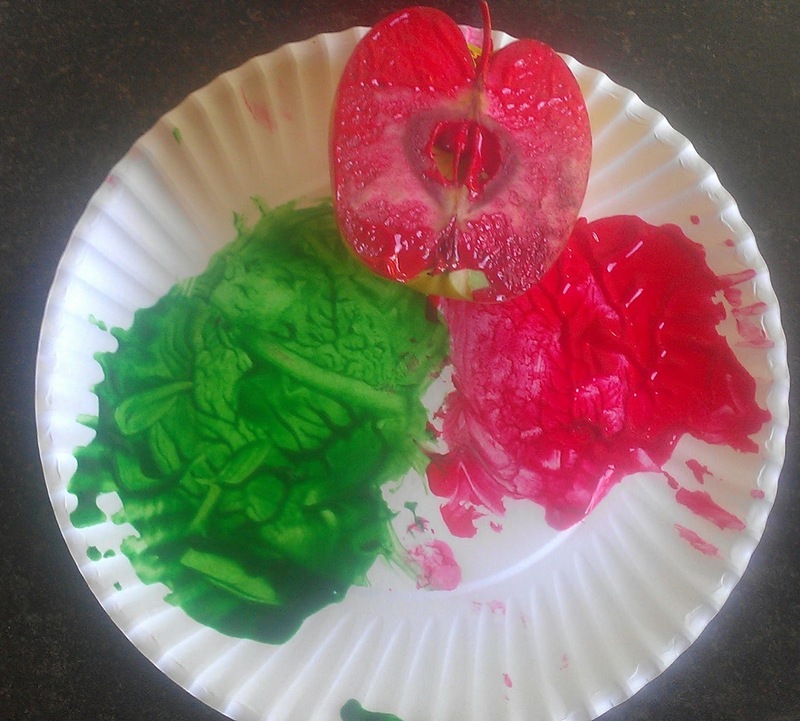 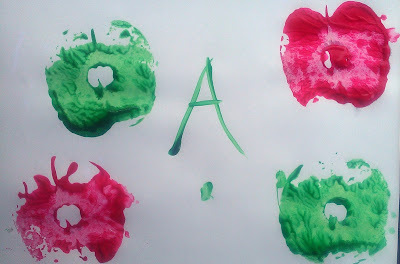 Let the kids swirl the apple in the paint and stamp it on the paper. Help them trace "A" for apple.